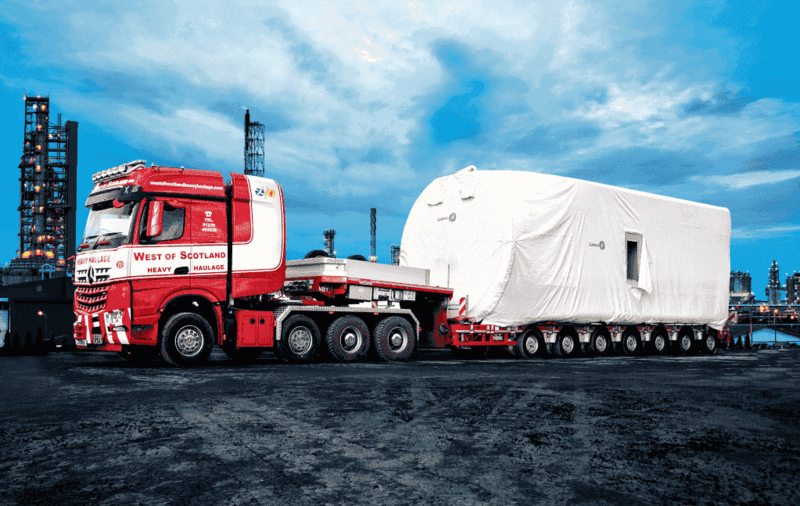 UK transport specialists West of Scotland Heavy Haulage has taken delivery of Nootebooms’ latest semi lowloader ‘the Manoovr’ as well as two Mercedes-Benz Arocs tractor units. 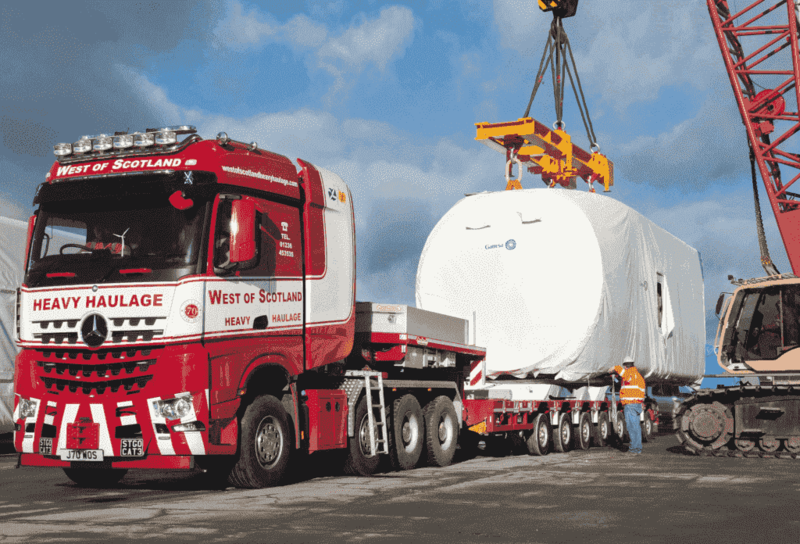 The Manoovr (type MPL-114-07) is the first of its kind in Scotland and has a 100-tonne capacity. It features an adjustable platform height. In the lowest position the deck height is only 780mm and can be raised – for maximum ground clearance – up to 1280mm. Further unique features are the unique suspension and the extreme manoeuvrability up to a maximum of 70 degree steering angle. The pendulum axles allow a load of 12 tonnes per axle and a bed that can be extended from 12 to 30.35 metres. Also joining the West of Scotland Heavy Haulage fleet is a 155-tonne 8×4 Mercedes-Benz Arocs and an 80-tonne 6×4. The combined power of reliable Euro 6 engines, PowerShift 3 automated transmission and Turbo Retarder Clutch along with reliable, high-torque drive configurations to suit the heavy haulage industry made the Arocs stand out from the crowd.